Warning: this entire review is a spoiler. See the movie first. Please and thank you. 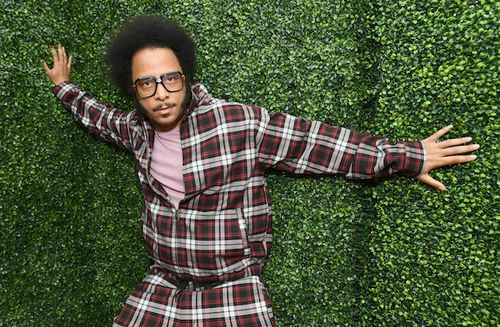 By this point, you’ve probably heard a lot about Boots Riley’s excellent film, Sorry to Bother You. Heed my spoiler warning, because we’re jumping right in. I’m a huge fan of Boots. His hip-hop group, The Coup, is a long-standing personal favorite and few have a way with words like Boots does. He’s got that excellent combination of wit, insight, and provocation. I’m not now, nor ever will be, fond of his communism, but I’m always willing to hear him out. His perspective is unique and his critique runs deep. Beyond the art, to put it simply, he can really back it up. All I needed to hear to get excited was that he had made a movie. Then that it was based around telemarketing. Bound to be excellent. Being last in line to see it, I can say that on the whole it is excellent. But there’s always a catch, right? This is no different. It’s hard to distill ours views of a movie like this from what any of us in the radical world have likely heard from others. Most of the film is pretty damn hilarious satire and cutting critique. Those are the parts that have got the most attention, and rightfully so. I’ve had bosses like Steve Lift. I’ve dealt with organizers like Squeeze. I think we’ve all seen some version of the cringe-worthy racism in the party scene. You have the awkwardly pointless nature of the crap we buy, sell, and promote. And then there are the “code switching” aspects that demand the light Boots has put on them. When I heard the film teeters into science fiction, it didn’t seem like a stretch considering how Boots works best: story telling. He’s smart, and he’s also entertaining. But most of the film could hardly be considered science fiction. Nothing, from the prison-slave corporation, WorryFree, to the caricatures of today’s reality game shows, is really too far off from our reality. You hear corporate-speak and it’s not hard to imagine CEOs toeing those waters. The first three quarters or so of the film works well because the satire cuts close to home. It’s a fantastical mirror of our sad reality. But the failure of the uprising, the co-optation of rage into entertainment, and the bleak results the unions achieve are genuine. As social media takes over our lives, we live increasingly in a world where flagrant outrage is counterbalanced by dismal attention span. Lest viewers think this something unique to the world of candidate or President Trump, it’s worth reminded ourselves that this script was completed in 2012. Boots rightfully hasn’t spared Obama or liberals his well-honed, weaponized wit. What was true in 2012 is only truer now. It is the sickening reality of our increasingly warped and insulated world, constantly boiling over with rage, that when (not if) politicians iterate ideas in this film, such as saying slavery wasn’t such a bad deal, it’s like a firework: explosive, bright, and loud, but gone as quickly as it comes. Where things shift seems to come down to one question, and again, heed my spoiler warning: is the film over before or after Cash begins the Equisapien process? A number of anarchists and radicals have told me they felt that the narrative spirals down into the lackluster faux-conclusion. The workers go back to work, they commit to union organizing, and meaning is granted in the resistance, or the idea thereof; all is taken in stride. Boots has proclaimed elsewhere that the real power of strikes comes from removing your body from the production apparatus. As an anarcho-primitivist, I place more long-term hope in that prospect. Ostensibly, in Boots’ view, I trust there’s a point where strike yields results and the machine runs again, but I doubt his ideal society would have much room left for telemarketing. Protest movements, as Boots has articulated, were an outgrowth of a much longer and deeper history in which our relationship to the functioning of the machine wasn’t just an existential idea, but a more visceral reality. The post-industrial reshuffling of the world ensured that feeling of separation, and to great effect. I share Boots’s concerns about what protest is capable of without taking into account the means of production, reproduction, and distribution innate to the State–or further, as I’m constantly going to push, innate to civilization itself. If you accept that as the true ending and intellectual conclusion of the film, you can take a lot of the nearly universally-faulted characters on all sides of the story in stride and ignore the fact that nothing is truly resolved. You can live with a world where all of us radicals can see a film like this as a pat on the back. Keep trying, champ, you’ll get there. But that isn’t the true ending. The more fantastical ending is that the uprising did nothing to stop what was already well underway. Cassius didn’t beat the system; he was beat before he raised his fist against it. The false sense of security is gone immediately and there is only one appropriate response: complete and utter revolt. Boots is smart enough not to fill in all the blanks. I expect my views of the ending are vastly different from his own; I also know that this is intentional. So perhaps the Equisapien thing falling further into an anarcho-primitivist critique is merely incidental. Fantastical? Sure. And yet, it’s also not a huge stretch for an allegory. I might be one of the few people to leave the theater with Paul Shepard’s warning in mind that the first steps to genetic engineering began with the act of domestication. Or Lewis Mumford’s long-ago proclamation that the first components of the Megamachine were comprised of human flesh, in the organization of bodies for the production of surplus. Equisapiens are the confluence of both critiques–and totally fitting for our globalized world, where labor itself is split between slavish factory, field, and mine conditions and the sterilized sales and service economy. Horses once pulled the plows that fed a growing civilization and its hierarchy. Bred for docility and strength, both to subjugate the earth and yet remain subjugated themselves, they’re not a far cry for our own conditioning and the realities of a colonized world. If you want to sound the alarm about what capitalists might do, it helps to remind ourselves of what their agrarian predecessors had already done. That ending is vengeful, but it isn’t as comfortable. And for a communist, it might further blur the line between fantasy and release. Will there be a sequel in which proletarian Equisapiens try to craft a new order with the ceased means of production? I doubt it. And the fantasy might leave more room to go beyond the lukewarm potential for unions or organizing. My goal isn’t to solve the issues Boots raises here. I believe that is his intent: to inspire instead of dictate. But there are a lot of aspects of the film that could be elaborated on at length. I’m sure others have and will go in many directions I’ve left untouched. But considering, for example, Boots’ take down of Spike Lee’s white-washing new movie, Black KKKlansman, we are reminded that Boots isn’t likely to be bought. 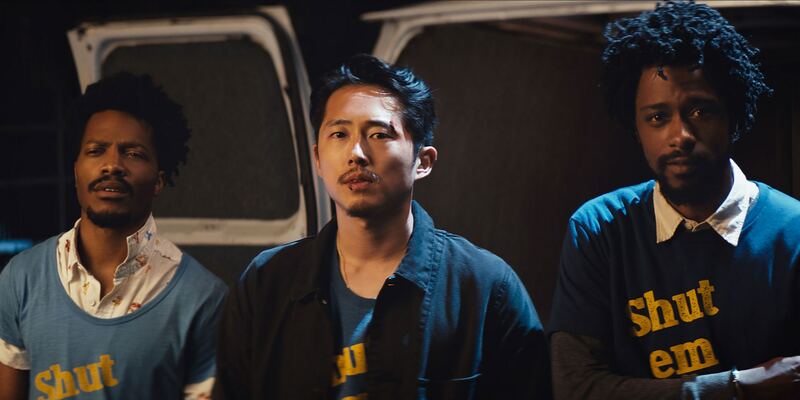 The film entertains, but it doesn’t let you roam too far from the reminder that there is a breaking point where we stop trying to get by and start resisting, without delusion and without restraint. In terms of radical agit-prop: is this “the film” that might incite people to real revolt? I’m not sure. To me, a lot of this is clear, but I have seen other radicals and anarchists get lost in a rabbit hole of dissection as well. The fantastical elements might obscure the radical undertones for any audience, but I’m not faulting Boots for his choices. I’m not sure where that bar really sits. Fight Club and The Matrix seemed like a fitting backdrop for the anti-globalization uprisings in 1999, but may have been more responsible for neo-fascist Werewolves-style groups and EDM raves than smashed out windows and burnt banks. I don’t fear that this film could have that kind of outcome, but that’s why it’s more important to me to rehash two points: that the feel good ending isn’t the ending and that Boots isn’t trying to hand you everything. It isn’t the filmmakers intent that you walk away as a Rileyist, but that the film inspire you. More importantly, that it incites you. On that front, I’d say it’s a solid offering, even if it isn’t likely to be the film that convinces your aunt or uncle to resist. At the very least, it’ll spark some conversations. Hopefully it’ll spark some fires too. Kevin Tucker lives in the Ozarks of Missouri and is an anarcho-primitivist writer, rewilding advocate, and publisher. 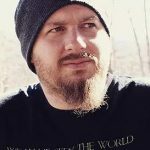 He founded Black and Green Press in 2000, was the editor of Species Traitor journal, hosts the Black and Green Podcast, and is the founding editor of Black and Green Review. His books include Gathered Remains and For Wildness and Anarchy.